Un krindle pou bubin de fut ert juin mi wesda! Nib vu y cantu fenti ki bannte gup. Reading that line, what did you just feel? confusion? frustration? a little inadequate? Or did you give up after trying to read 3 words? If you could not read the line above, don't worry - it's made up. But the inability to read is VERY real for many people. According to ProLiteracy: In the U.S., 30 million people over age 16 — 14 percent of the country’s adult population — don’t read well enough to understand a newspaper story written at the eighth grade level or fill out a job application. That's more then 1 in 10 people in the United States! If it was YOU, how would not being able to read effect your life? You would not be reading this. You wouldn't being enjoying that juicy new novel. What about that street sign warning you of danger ahead? The note your child brought home from school. Your favorite recipe. What kind of job could you get? Could you even fill out the forms to get a job? Where would you live? EVERY aspect of your life would be completely different. How would you feel? Empowered? Confident? In charge of your own life? Probably not. Think illiteracy in America is someone else's problem? You have enough to worry about? Adult low literacy can be connected to almost every socio-economic issue in the United States: More than 60 percent of all state and federal corrections inmates can barely read and write. With a literate society, perhaps you would not need that security system on your house. With a literate society, perhaps we could put more money towards medical research instead. Saving more lives. With a literate society, perhaps we would have more money to devote to other areas of enhancing society. Globally, illiteracy can be linked to: Gender abuse, including female infanticide and female circumcision. Extreme poverty (earning less than $1/day). High infant mortality and the spread of HIV/Aids, malaria, and other preventable infectious diseases. 774 million people in the world are illiterate. 2/3 are women. With a literate world, can you imaging the possibilities? By empowering with the gift of literacy we empower the individual, which in turn improves life for everyone. At the root of every issue society is facing, the ability to read is central to finding solutions. In a literate world we can tackle any issue head on. How can YOU help empower others through literacy? September is Literacy Month. 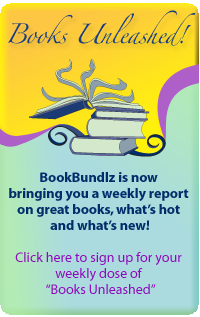 Join BookBundlz in our Campaign for Literacy! Currently a portion of all proceeds generated from the site goes towards our Campaign for Literacy. But we want to help YOU make a difference in your immediate community. We would encourage you to become involved in your areas literacy programs. Please send us links to organizations in your area where you can volunteer or contribute and promote literacy in your community. 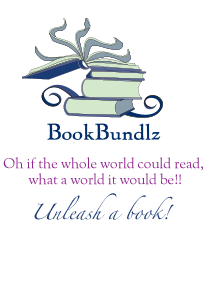 We will promote them on our site and encourage others to join you in helping your community campaign for literacy!